Hi there, my darlings! 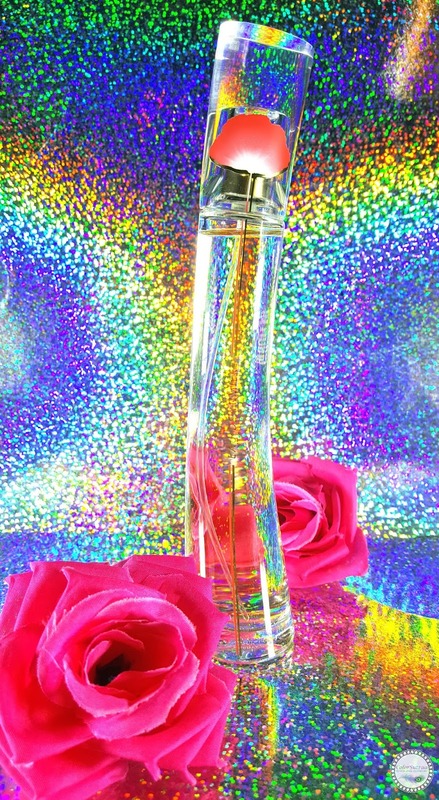 If you have been following me for awhile now, then you know that I LOVE PERFUMES! Honestly though, it's not just me. All the women of my family have a thing for fine fragrances and our signature is always smelling good. In fact, my brother-in-law firmly believes that's one of the reasons he fell so hard for my sister! I think it began very definitively with the mothership and as the saying goes, the apples don't fall far from the tree. So, the mothership, my sister and I all get quite deliriously excited when it comes to trying out new perfumes. While we all gravitate towards similar kinds of scent profiles--sweet florals or bright fruity--we're just different enough that we don't all end up wearing the same scent. Today's post highlights that to a tee! 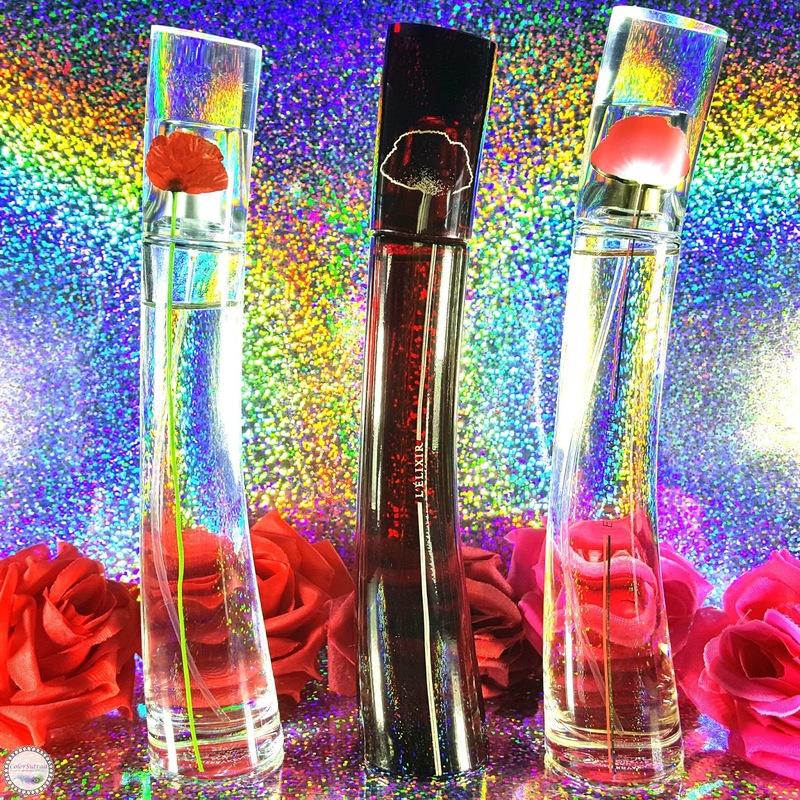 I'll be sharing three versions of the Kenzo's iconic Flower fragrances (thanks, Octoly!) and detailing the nuances in the notes that made one a favorite over the others! A simple and beautiful, fragile and strong red flower, like the woman who holds it. Unpredictable, the poppy grows here and there, where least expected, to re-enchant the city. It blossoms on the urban curves of the bottle. I was introduced to this fragrance over 15 years ago by my then-roommate and now close friend who was rightfully obsessed by this scent. When we used to go out to dinner, we'd swing by my mother's work to say bye and she would be mesmerized by this fragrance. She made it a point to add it to her collection! 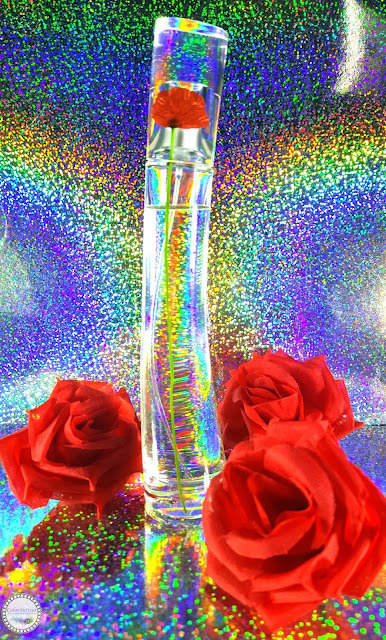 Truly iconic, she never forgot how this scent enchanted her and although many fragrances have graced her vanity over the years, this one remains one of her favorites! Of course, when I got a chance to get re-acquainted with this , full-bodied, intensely luscious scent, I passed it right on over to her! And you can see, she's already made a dent in it! The poppy illuminates women with its glowing, dynamic and powerful aura. The ultra-feminine radiant trail of the Eau de Lumière is an ode to modern sensuality. A luminous energy exudes from the very first notes as the brilliance of Bergamot echoes the crisp, sparkling freshness of the Pear. Infused with the solarity of Jasmine Sambac, the Bulgarian Rose reveals a harmonious floral heart. Lastly, a base of dazzling White Musks merges with the divine addiction of a honey balm. 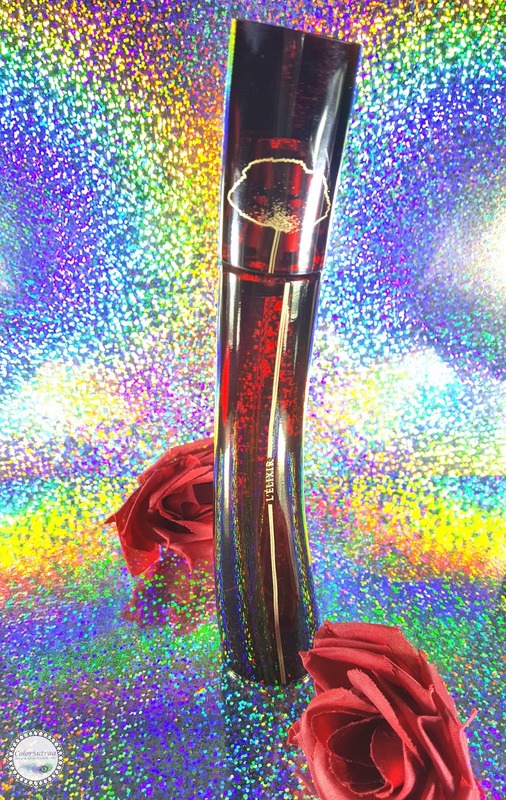 The signature bottle is highlighted by a precious coral color and glowing gold to magnify the beauty of this liquid light. Lighter and airier than the original, I can only describe this scent as Spring in a bottle! My personal favorite of the three, I absolutely love the lush floral notes merged with the crispness of the fruity accents. This one has become a permanent fixture on my vanity and I use it sparingly (because I'm a hoarder) whenever I need a little cheering up! One just can't stay unhappy around this bright, sparkling, sweet floral! Do you know the bewitching power of the poppy? A precious flower, with invaluable vitality. Its bloom conceals a vibrant sensuality, revealing the essence of women, their most captivating facet. FLOWER BY KENZO L'Elixir celebrates this femininity with a gourmand floral fragrance. The juicy Raspberry note and Bulgarian rose essence compose a deliciously chic alchemy, while the Bourbon Vanilla and Praline distil a sensual addiction. Sultrier and sexier than its sisters, L'Elixir is made richer by the notes of Bourbon Vanilla and Praline. Yes, it is a floral but those gourmand notes waft deliciously in the background. I imagine it would be a fabulous date night fragrance when the weather gets a little cooler! This sensuous fragrance will be my gift to my sister but more so, her scent-addicted husband. You're welcome, bro! So there you have it, my darlings! You can pick up either version of your choice of the three Flower fragrances on Kenzo's website HERE. You can also purchase them at Sephora, Macy's, and other fine retailers across the US--find a store HERE. Kenzo is a global brand available in many countries around the world! Have you tried Kenzo's iconic perfumes yet? What is your go-to fragrance(s) at the moment? Tell me which one in the comments section below! The packaging is fabulous. I'd want these just for that! You just made me put the L'Elixir on my wish list! I love scents that smell like sweets. LOL!! I've always loved Kenzo fragrances. They smell fantastic and the packaging is beautiful! Banish Acne Breakouts with ZAPZYT! 3 Beauty Balms for your Best Summer Skin!